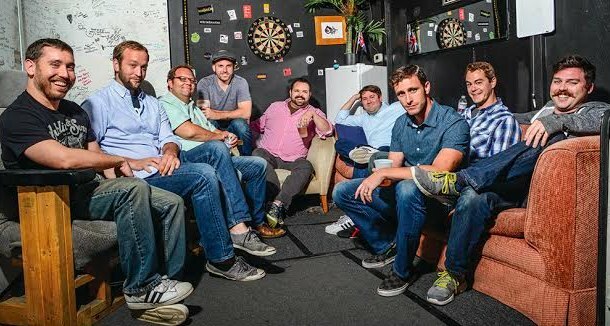 When you live in a city full of marginally talented comedians, it’s only polite to adhere to the principle rule of improv and say “yes” to as many comedy shows as you can. After all, they say laughter is the best medicine, so why not live life hopped up on a near fatal dose of prescription comedy? Of course in the city of angels there are literally dozens of comedy shows to choose from, many of which are free. But where to start? Well, to help you narrow down your itinerary, here’s a handy list of the 10 best free comedy shows in L.A. that are sure to keep you giggling, chortling, cackling, and possibly guffawing, all at the bargain basement price of zero dollars. And though I can’t promise you’ll die laughing at every bit, at least you’ll have saved some serious dough in search of comedy gold. So without further adieu, here’s our top 10 (in no particular order). At what other comedy show can you order thirteen types of grilled cheese sandwiches, old sport? Barbershop by day, speakeasy by night, the Blind Barber retains a relatively low profile located next to the Culver City Best Buy. It is also home to the very exclusive stand-up show, The Blind Barber Secret Show. Founded two years ago, three roommates had the brilliant idea to host a comedy show in the comfort of their Hollywood home. Anything goes at Comedy Living Room; known for having surprise guests drop by, you’ll never know if it’ll be Paul Scheer, Kumail Nanjiani, or John Mulaney bursting through the front door. Not to mention, the roommates recently welcomed a puppy by the name of “Bullseye McFly” to their home, making Comedy Living Room paws down, the greatest. Pro-Tip: If you want to get seats in the actual living room, show up 20 minutes before the doors open! Otherwise, you may find yourself part of the kitchen scene: closer to alcohol, but not as comfy. You decide. With shows every night of the week and a beer and wine bar with no drink minimum, Mi’s is the place to go in Santa Monica. Free improv shows on Mondays at 8PM and 10PM and Thursdays at 10PM followed by an improv jam. Free Beer, Free pizza, Free stand-up. Fringe with JC Coocoli may be the deathly hallows of comedy. 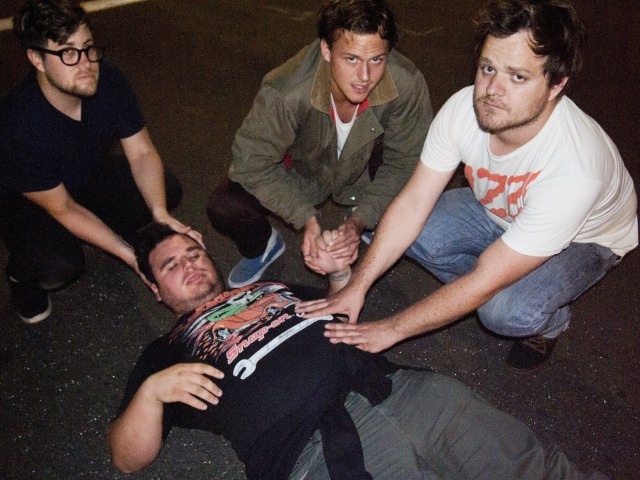 If you’ve grown tired of regular stand-up shows, Sleepaway Camp will surely spice things up. Every Tuesday night you can count on Sleepaway Camp to provide a unique mix of of stand-up, live theatre, and video presentation. Not only is it a UCB favorite, but it’s also fun to say. 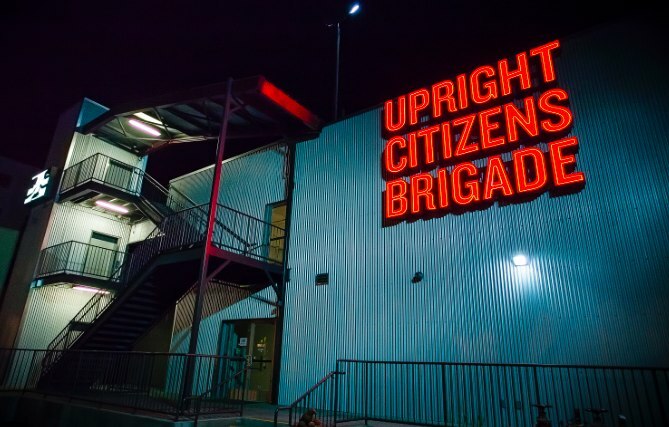 While ASSSSCAT has a show on Saturday for $10 (8pm over at UCB Franklin on 5919 Franklin Ave), the poor and patient souls of L.A. will want to wait in line for the free Sunday show. An interactive approach to stand-up comedy, BrewHAHA combines the art of laughter and drinking. Before the comics perform, a few drinking game rules are revealed to the audience; When a comic breaks a rule, the audience gets to drink. It’s genius. You’ll want to show up early to claim the prime seat real estate in this Silverlake backyard. An experimental comedy show with no limits, there should be no question what your plans are on Sunday night! It’s time to put your typical line-up of Walking Dead, Homeland, and Once Upon a Time on the BACK BURNER and get to Power Violence immediately! A perfect combination of cheap drinks, vegan cookies, and USC hotties, Prom Night is quickly becoming one of the most popular stand-up shows in the Downtown LA area. While a backyard with Christmas lights and comedians in flannel may be your cup of tea, there is something magical about seeing a comedian in suit! They’ve been around the block and are the best in the field – Legendary Conan O’ Brien, Jimmy Kimmel, and Craig Ferguson do not disappoint. Do you know of other free comedy shows in L.A. that you think should be added to the list? Let us know in the comments section what your recommendations are!